The world may know Ariana Grande as a superstar. However, before she ever captured the hearts of millions, she was simply a, somewhat unlucky, hockey fan. As The Cut noted, Ariana Grande shared a throwback hockey story in which she rode a Zamboni at 5-years-old, according to an unearthed article about the Florida Panthers event. And the story behind how she came to be a star on the hockey circuit is truly wild. On Feb. 9, writer Mike Commito highlighted the throwback story on Twitter. He posted a photo of the 1998 South Florida Sun Sentinel article, in which an adorable, curly-haired Grande can be seen riding a Zamboni as she waves to the crowd. Why exactly was there an article written about one of the world’s most famous pop stars way back in 1998? Well, not only was the singer a big hockey fan who had attended almost all of the Panthers’ home games, but she also experienced not one, but two unfortunate injuries as a result of attending those games. As the article noted, Grande had gotten hit by two different hockey pucks during two of the games, with one hitting her right wrist and the other, her left wrist. Thankfully, the publication reported that she only needed a couple ice packs after experiencing those injuries. To no one’s surprise though, the "Thank U, Next" singer managed to bounce back after those two unlucky occurrences and became the first kid of the 1998 season to ride the Zamboni, which she naturally did "like a queen." Grande herself took to Twitter to comment on her hockey-filled backstory. She first addressed the article (and her well-being after being struck by two hockey pucks) and said, "started from the bottom now we here #thankunext #fineafterbeingstruck2ndtime." She also had some fun with the throwback snap, as she edited it to include a photo of a Grammy award. It was definitely a cool move, especially considering that she won the award herself (which was her first Grammy, by the way) on Feb. 10. 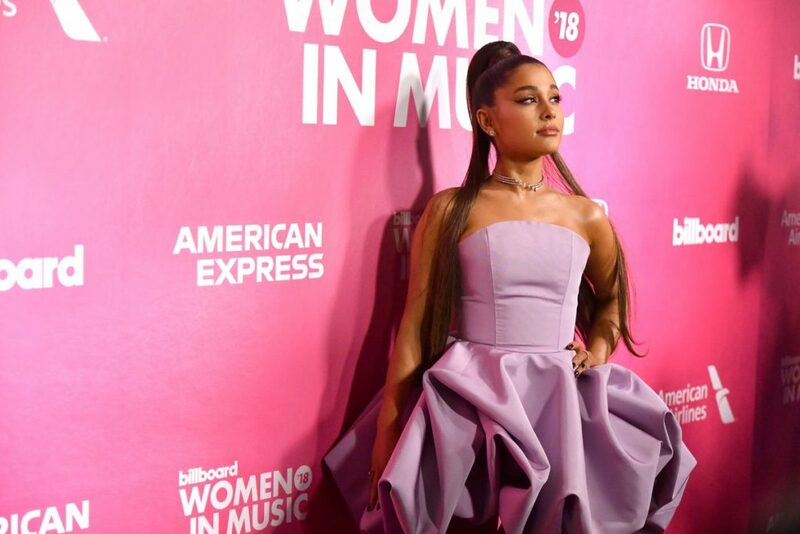 When one fan asked Grande to prove that she can still rock the curly look, the "7 Rings" singer posted a short clip in which her gorgeous, natural hair could be seen. In the video, she’s rocking a half updo in all of its natural, curly glory and looks nothing short of stunning. Every part of Grande’s throwback hockey story is simply wild, from the fact that she rode a Zamboni to her two hockey puck injuries. But, wildness aside, it’s so fun to see the famous singer as the cutest (and most resilient) hockey fan in the game.